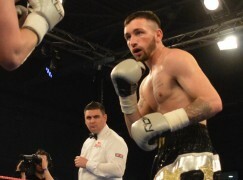 Aberdare’s Morgan Jones (12-0, 5KO) was an unexpected inclusion for Matchroom Boxing’s massive upcoming show at the Principality Stadium and he’s determined to make the most of the golden opportunity. 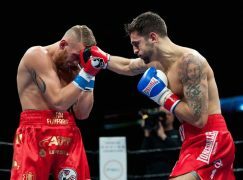 On Saturday, the super-middleweight will open the action in Cardiff against Mose Auimatagi Jnr (9-1-2, 5KO), a promotional stablemate of headliner and World Boxing Organisation [WBO] champion Joseph Parker. Long before the New Zealander’s unification showdown with International Boxing Federation [IBF] and World Boxing Association [WBA] heavyweight champion Anthony Joshua, Jones aims to ace the task of providing his own memorable moments for the fans there to watch the night’s first fight. The self-labeled ‘Sexual Chocolate’, an amusing ring nickname he operates with, said: “What I bring is completely different to what anyone else brings. Watching one of my fights is completely different to watching anyone else. On Matchroom’s last visit to Wales, the Essex-outfit received criticism for the lack of natives in the lineup. Eddie Hearn has taken the feedback on board and as a beneficiary of the promoter’s fresh outlook, Jones is hopeful of making an impression to cement a successful working relationship. New Zealand remain undefeated at the Principality Stadium since it’s construction for the Rugby World Cup in 1999 and Mose Auimatagi Jnr will have his own plans to progress and preserve that record. 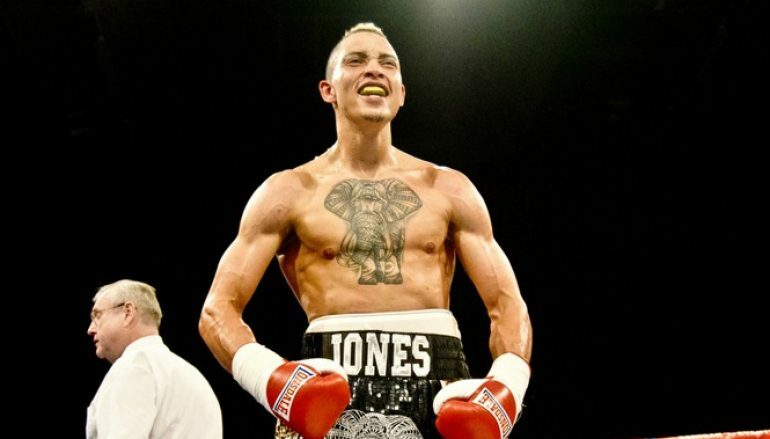 The show’s co-promoters Duco Events look after the 22-year-old and Jones is confident of overcoming the challenge. He said: “I’m anticipating that he’s going to be on top form and it’s going to be a tough night, that’s what I’m preparing for. As for anything else, I’m not going to know until the bell goes. He’s no special effects, though. “There is a loose game plan for the first couple of rounds. There’s a slight guideline to follow but punch-by-punch, it’s mainly off reactions. I work off defence and maximise the opportunities off the mistakes he makes. One man who will be missing from the corner is Lee Beard. 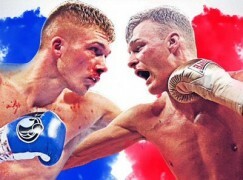 Jones recently relinked up with the Manchester based trainer, who is in Australia for Jimmy Kilrain Kelly’s regional title fight against Dennis Hogan, and has been in regular contact. Jones said: “My life has been turned on its head, like. Day to day, I’m in Manchester. Normally, I’m in Manchester from Monday to Friday and back home on the weekends. I’ve adjusted to it really well. “One of my sponsors, Amazon Ground Work, have sorted me out with accommodation and it’s great, close to the gym. I don’t have to worry about anything other than getting fit, fed and rested. 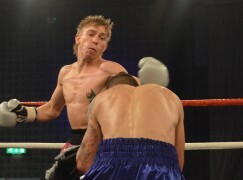 IMAGES BY PAUL DALEY, TOP CLASS BOXING. CLICK HERE TO VISIT THEIR WEBSITE – A VOICE FOR THE FIGHT FANS.